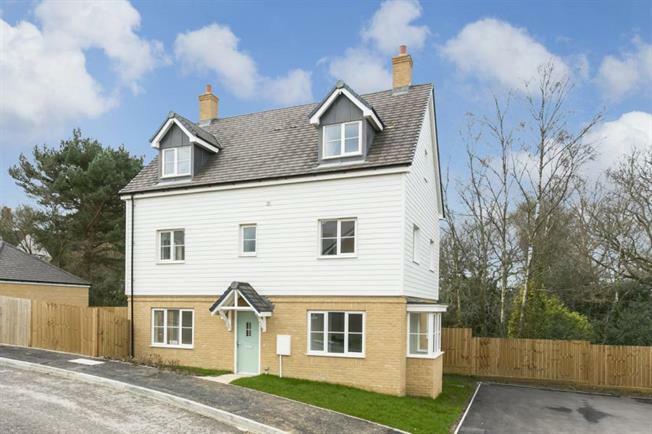 5 Bedroom Detached House For Sale in East Sussex for £525,000. PLOT 1 - The Ticehurst - a one off 5 bedroom detached house with a double garage that is available for immediate occupation built by Matthew Homes. An exclusive, five bedroom detached executive home with spacious accommodation arranged over three floors and benefitting from a double garage and a South facing turfed garden. Featuring five double bedrooms, three contemporary bathrooms and generous reception rooms to include a spacious kitchen-family room. Oakline is situated just off the main High Street in Heathfield which offers a wide variety of local shops and supermarkets.